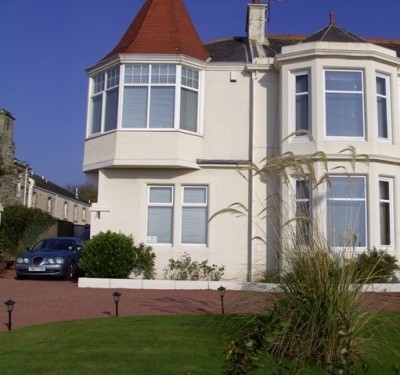 Burnfoot House B and B is situated in Ardrossan on the main A738 overlooking the Firth of Clyde to Ardrossan Ferry Terminal and Marina with the Isle of Arran and Ailsa Craig in the background. 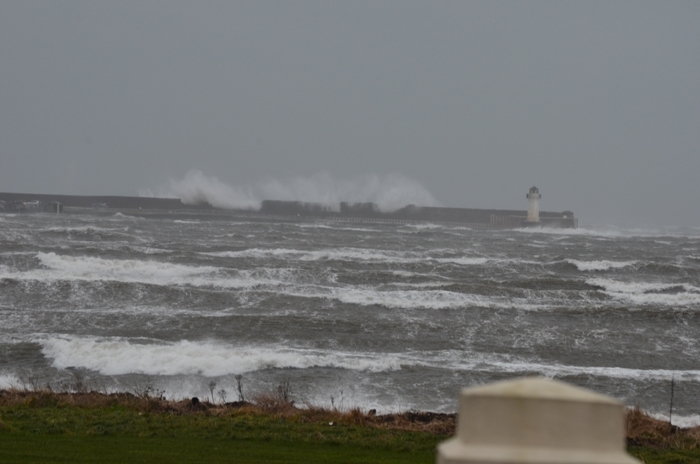 We are with easy access to the Arran Ferry. Burnfoot House has 3 bedrooms (all upstairs), two doubles at the front of the house overlooking the Firth of Clyde to Arran and a twin room at the rear overlooking the rear garden. 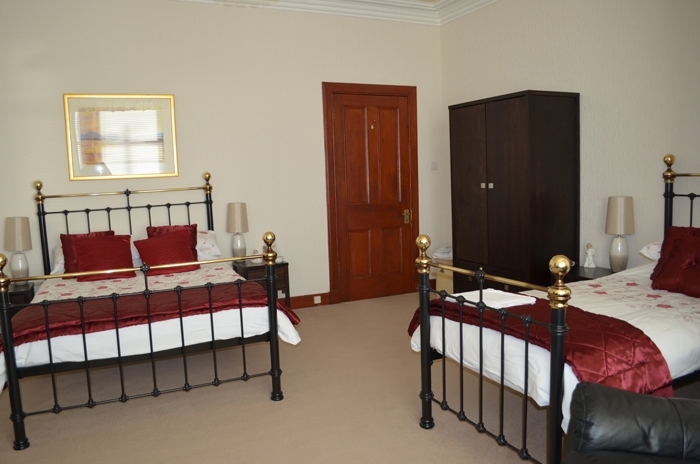 The large double rooms also have an additional single bed and a two seater leather sofa for the comfort of our guests. 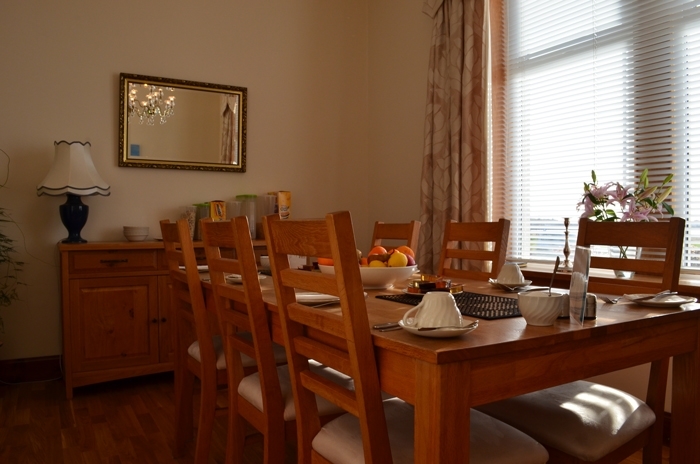 Each room has Freeview TV, free WiFi and tea and coffee making facilities. Burnfoot House is totally non-smoking. We have off road parking and secure storage for bicycles. Breakfast is served in the dining room from 0700hrs to 0900hrs and an earlier buffet breakfast is available for anyone wishing to catch the 0700hrs ferry to Arran. A vegetarian option is available on request. 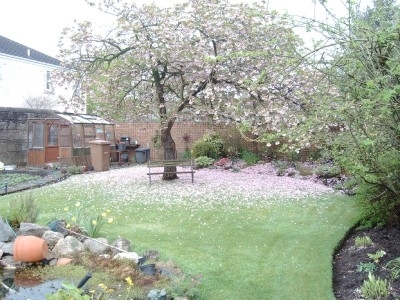 Guests are welcome to relax in the back garden where there is also a log cabin summerhouse. For those more energetic a walk along the beach is very invigorating. Nearby attractions include Portencross Castle, North Ayrshire heritage Centre, West Kilbride Craft Town, Kelburn Castle and Country Centre and the Scottish Maritime Museum. There are also a number of first class golf courses within a 20 minute drive away including West Kilbride, Largs, Irvine, Troon and Prestwick. Fantastic place. Accommodation,location and hospitality are second to none. Anne and Robert are truly fantastic hosts and make you feel like you have known them years. Such attention to detail ensures that you sleep well, eat well ( breakfast is superb) and relax well. It is a stunning jewel in a gorgeous part of the country. You'd be mad not to fall in love with this gorgeous place. All rooms have wonderful views. Travelling onto Arran this has to be the place of choice.